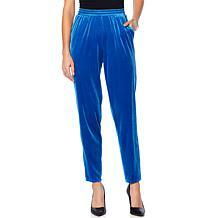 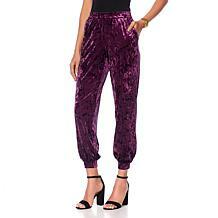 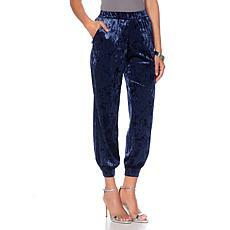 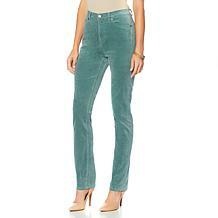 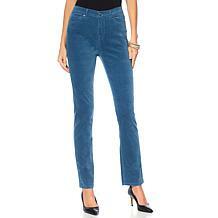 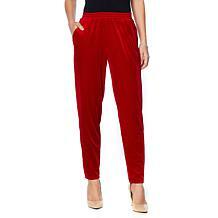 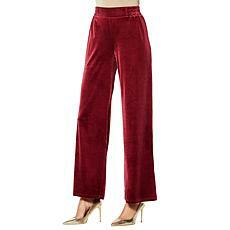 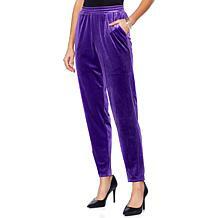 You'll look party perfect wearing this crushed velvet jogger that's as comfortable as it is unique. 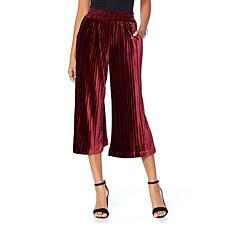 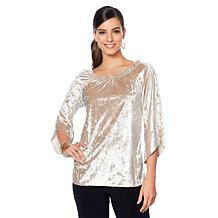 Cuffed at the ankles for that coveted harem style, it has a close fit with a flattering amount of drape. Soft and effortless. 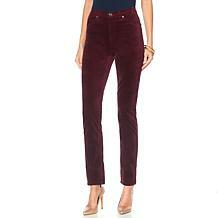 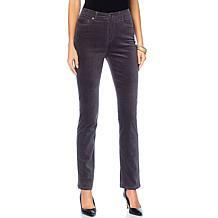 These go-to pants for fall make dressing for the season an easy feat. 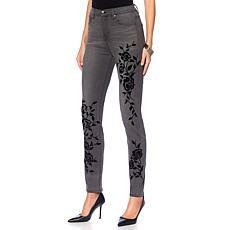 Pair them with slouchy sweaters with boots or your favorite pumps and dressy tops. 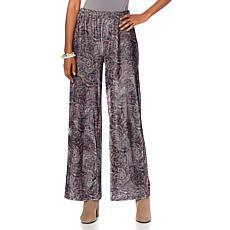 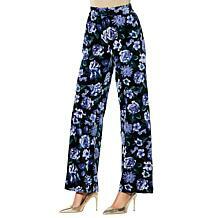 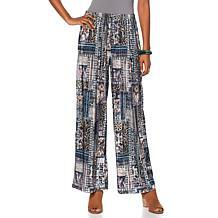 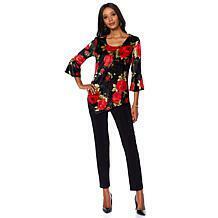 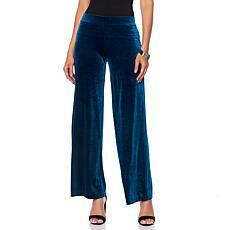 Slinky® Brand 2-piece Printed Velvet Tunic and Pant Set We are totally crushing on velvet this season. 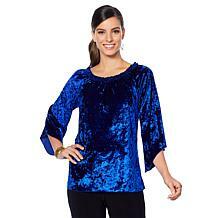 This printed velvet tunic comes with an easy pull-on pant that makes looking glamorous any day of the week a breeze. 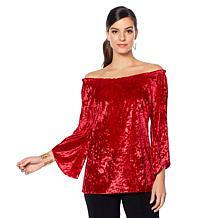 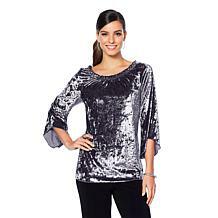 Slinky Brand 2-piece Crushed Velvet Tunic and Basic Black Pant We are totally crushing on velvet this season. 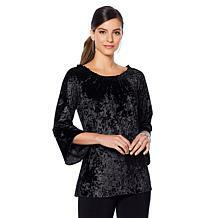 In this perfect two-piece set, the rich, sumptuously plush velvet top is paired with a classic black pant for a look that stuns all season long.